This is someone who was already paying me as a consultant, and she was willing to drop more money for a hassle-free, ready-made personal statement. Even though she was flustered, I still thought she was joking. Nope. She started naming different figures - $1000, $1500, up to $2500 by the end. Obviously, I declined the offer and explained that my role was strictly an advisor/editor, not a ghostwriter. Then I had a pretty blunt conversation with her about her perspective and readiness for medical school. I tried to continue advising her in a normal capacity, but no surprise, things weren’t quite the same between us after this indecent proposal. She eventually stopped responding to my messages, presumably(?) finding the “services” she wanted elsewhere. Or maybe she realized it wasn’t a good idea to apply if she couldn’t do it the right way. Though this happened five years ago, it’s been on my mind lately since I read about the college admissions scandal. Desperation makes people do drastic things. 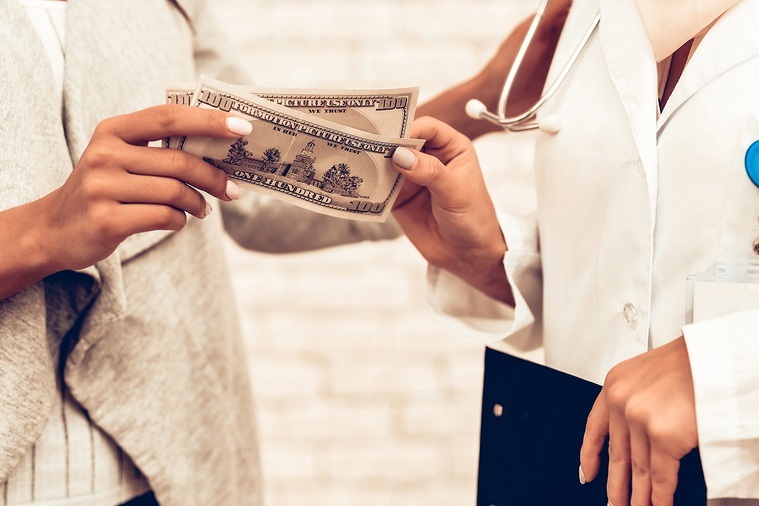 Which begs the question: if people are cheating the system on the undergraduate level, could applicants bribe their way into medical school as well? In case you’ve been living under the proverbial rock, here’s the gist of what’s happened: 50 defendants--including actresses Felicity Huffman and Lori Loughlin--stand accused of crimes that include bribing exam administrators to let other students take their kids’ tests, paying exam administrators to give their kids the test answers, and bribing coaches to lie and label their kids as athletic recruits, even if their kids never played the sport. The eight universities named in unsealed court documents include Georgetown, USC, Stanford, UT Austin, Yale, Wake Forest, and UCLA. How have colleges responded? USC, one of the primary culprits, has tried to sweep the scandal under the rug, even claiming itself to be a victim, but its students are pushing for more accountability. Stanford fired its sailing coach. UT Austin and UCLA temporarily suspended certain coaches. If you’re curious, here are the schools’ official responses. Most seem eager to pinpoint blame and terminate their relationship with these offenders/scapegoats. Can This Type of Bribery Happen in Medical School Admissions? The college admissions scandal essentially boils down to three unscrupulous acts: committing bribery, faking credentials, and hiring proxy test takers to complete your exams. Can we find these same crimes within the medical schools admissions process? And what safeguards are in place to prevent them? There’s a reason medical schools are named after specific donors. Those donors offer generous amounts of money, often giving them influence over which students end up on the preferred list for admissions. But presumably in all cases, admission would still hinge on the candidate meeting baseline qualifications to represent the institution well as a future doctor. Beyond this unofficial, legal form of monetary influence, there have been a few unusual reports, like a dean in Florida who admitted the son of a Republican fundraiser who had been previously rejected by the admissions committee. Apparently the kid didn’t even take the MCAT. Overall though, it’s challenging to successfully bribe a medical school, since the admissions decisions are typically made by a committee, not to mention that students are automatically disqualified if discovered to be linked to any dishonest behavior. For starters, it helps that no one is recruiting medical students for the sports they play. This takes a whole element out of the equation. Still, in theory, it’s possible to fake one’s medical school credentials on paper. The contacts you list on your Work and Activities are almost never contacted. So, as long as you don’t claim an outrageous number of hours or write anything suspicious, your application won’t be heavily scrutinized. Like my stressed-out candidate, you could conceivably find strong writers to complete the personal statement and most meaningful essays for you, as long as you gave them enough of an outline to run with. Same goes for secondary essays. You’d face the challenge of finding letter writers who are willing to lie on your behalf or agree to sign off on any letter you write for yourself. But while this makes faking your credentials less likely, even this is not impossible. The real safeguard here is the mandatory in-person interview. Sure, you could memorize your fake application and essays word-for-word, but the detailed, nuanced questions of the interview would be difficult to navigate without the actual experiences to base them on. Admissions interviewers are veterans of the game who are usually good at sniffing out liars. All in all, if you want to falsify information for medical school, there are many more hoops to jump through than in college admissions - more essays, more letters of rec, a mandatory and much more intensive interview process, etc. But loopholes will always exist and white lies will always persist. We’re certain that many candidates have fudged or exaggerated details, both in writing and during interviews. And we’re certain that they’ve gotten away with it, too. Editor’s side note: we all cheat a little bit. Shh… it’s okay... don’t fight it. I found one article about a candidate who tried to hack into the MCAT system, as well as a report about a Canadian applicant who used a pinhole camera to beam images of the test back to his friend's computer. But overall, it doesn’t seem like the MCAT is as susceptible to fraud as the SAT/ACT. Sure, you can still “make friends” with test administrators, but the MCAT is a computer-based test with security cameras and fingerprinting policies. Compared to the SAT/ACT, there’s also more unpredictability and nuance to the information on the test, so you’d have to find a brilliant proxy who’s also desperate or crazy enough to follow through with this plan. The CASPer test is a recent addition to the admissions process that could serve as another safeguard. The CASPer, which is being adopted by more and more medical schools, is a timed online ethics-based test that uses your computer’s camera to record you. Like the in-person interview, it’s meant to assess your ethics, character, decision-making, and perspective, all in real-time with no outside assistance. It’s not hard to imagine more timed, in-person tests like this emerging in the future of medical school admissions, and if that means less fraudulent activity, then I think that’s a good thing. In short, yes, these three crimes do happen in medical school admissions, but in a much smaller and less frequent capacity. Besides the fact that medical schools have no sports recruitment and place less emphasis on centralized essays, medical schools also require students to represent themselves in a larger variety of ways, including in person. It’s not impossible to bribe or fake your way in, but maneuvering through all the safeguards in place would be a true heist. Are Applicants Buying Their Way into Medical School by Hiring an Admissions Consultant? This is a valid question. Candidates who hire admissions experts are at an advantage based on their financial means. Same goes for those who can afford tutoring and coaching for the MCAT. BUT there’s a big difference between what’s legal and what’s ethical. You could argue on ethical grounds that all candidates should have the exact same opportunities, but there’s nothing illegal about paying someone for admissions counseling and advice. That’s what separates it from the clear lawbreaking that took place in the college admissions scandal. These people weren’t just paying for assistance and mentorship (apparently that’s still too much work); they were paying for a free ticket in. 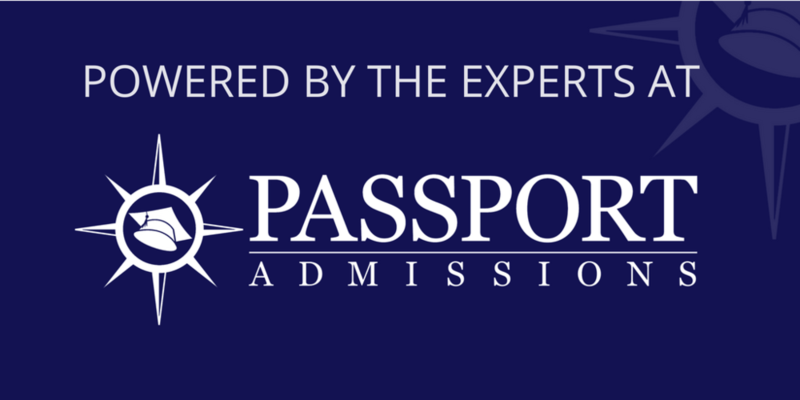 At Passport Admissions, we strive to balance our role in the system. We are not editing machines or admissions robots who will complete tasks for you. Our clients are mentees who are given guidance throughout the process, including teaching them how to write better essays, choose the appropriate schools to apply to, and perform better on their interviews. But they take ownership of each step and complete milestones on their own. We also cater to disadvantaged students by offering a scholarship program, where candidates can apply for financial assistance in their packages with us. We are pre-med advocates, but we draw a hard and clear line about how we help. We want to help you tell your story, not write it for you. In the end, that is what’s truly best for both parties. What do you think about the college admissions fiasco? Do you think these things happen in medical schools admissions? Any juicy scandals to share? Tell us in the comments below and we’ll respond personally!